Summer is that time of year when we can all muster up the motivation to finish up all those needy house projects that might have spilled over from the previous year. And for many homeowners what’s not on that to-do is the one thing you cannot afford overlook or postpone for a later date, your home’s roof. Below we’ve listed 5 fundamental roof maintenance tips that should you stay on top of your to-do obligations and keep your roof it tip-top shape. Pay close attention to your shingles – Your shingles are one of the critical elements of your rooftop. Designed primarily to keep your roof dry and weatherproof, shingles are made from a variety of products and styles, ranging from wood to asphalt shingles. 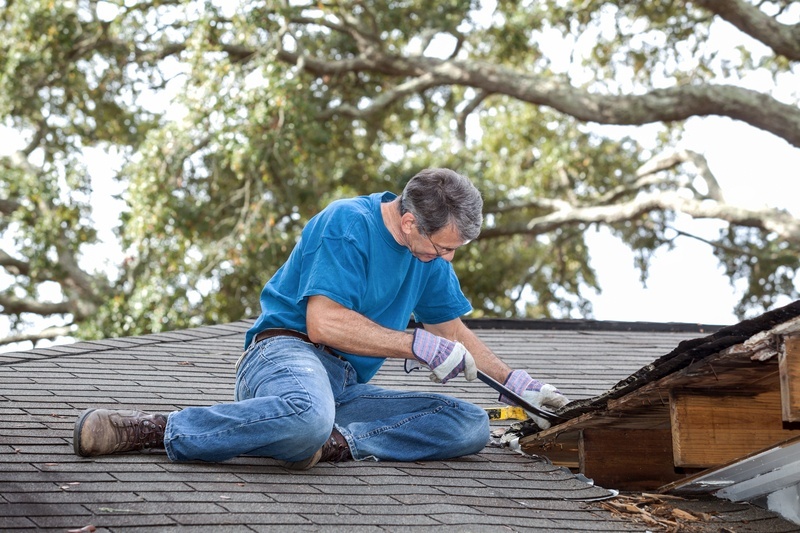 They may not seem like a huge issue at first glance, but missing or deteriorated shingles can make your home susceptible to more damage and wear and tear. Missing shingles leave your other shingles at risk of falling apart and exposing the inner layers of your rooftop to weather and other problematic sources. Ensure that your shingles are still intact in order to prevent these issues. Also be on alert for buckling, curling, and broken shingles. Trace leakage – Leaks are some of the most pesky roof-related problems you can have. Mainly because the first step of fixing a leak requires you to trace it to its point of origin. The spot where water is dripping is not exactly the spot where the leak started, and it also means that you may have to go up on your roof to seek out the source. Look for dark stains on and around your walls and ceilings, rotting framework, molding, and buckling shingles. All signs that there’s a lack of ventilation and extreme moisture in your roofing. Look for fungus – a main indicator of roof deterioration is signs of fungus and algae. When moss and algae start to collect on your roofing exterior this can increase the possibility of wear and tear of your roof. There a variety of solutions which can include raking, power-spraying, brooming off the fungus. You can also apply some special products like Zinc strips to help battle the algae growth. Check your gutters – clean out your gutters and ensure that they are firmly attached to your property. Look for sources of leakage like cracks, holes, and lack of adhesive strength. If your gutters are rusting, you may want to considering switching them out for the newly upgraded aluminum or vinyl gutters that are rust-proof and have a much longer lifespan. Look for clogging in your downspout, a clogged downspout can lead to saggy or weakened gutters. Ask a professional – it never hurts to ask and ensuring that your home is safe and comforting for your loved ones is always an overarching priority. If you do not have the time to conduct a thorough maintenance yourself or you’re still unsure of what to look for or are concerned that you might have missed some key points, call a roofing professional for insight and guidance. Many local roofing contractors offer a free estimate and can likely come to your home on the same day.